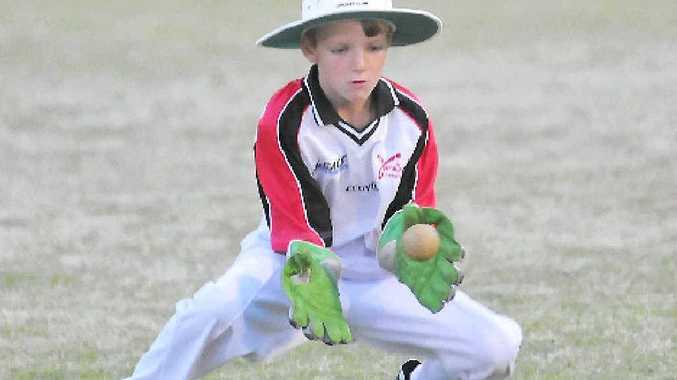 Kayne Bartlett plays for keeps in under-10 cricket action. GLADSTONE Cricket is amazed at the reception of players to the association's newest competition, the T20 Junior Blast, which is held every Wednesday evening. Now local cricket organisers want to see more kids having fun on the fields of Gladstone. Replacing traditional fixtures on Saturday mornings, the under-10 format has games lasting one-and-a-half hours on Wednesdays from 5.30pm at Clinton, Sun Valley and Boyne Island. Gladstone has introduced the program after a successful visit from Brisbane Heat players Peter Forrest, Chris Lynn and Cameron Gannon. The change is designed to give kids and parents a fun start to the sport. "The kids really enjoy smashing sixes and fours around and the fact that the games go for only an hour and a half in the early evening will prove popular with mums and dads," Queensland Cricket's Nev Judd said. The competition has only hit off in the past two weeks and more players are encouraged to get involved and see why their peers love the sport so much. Judd said the atmosphere around the ground reminds parents of a Brisbane Heat Big Bash match, and the kids will learn skills which could help them be like their Australian heroes in the future. "Queensland Cricket is looking at using the popularity of the Brisbane Heat to get a new generation of kids into cricket and give them a fun experience along the way," he said. Kids between the ages of seven and 10 are encouraged to give the sport a go, with everyone getting a go at batting, bowling, fielding and wicketkeeping each match. BIG HIT: Jack Shepherd playing in the T20 Junior Blast. 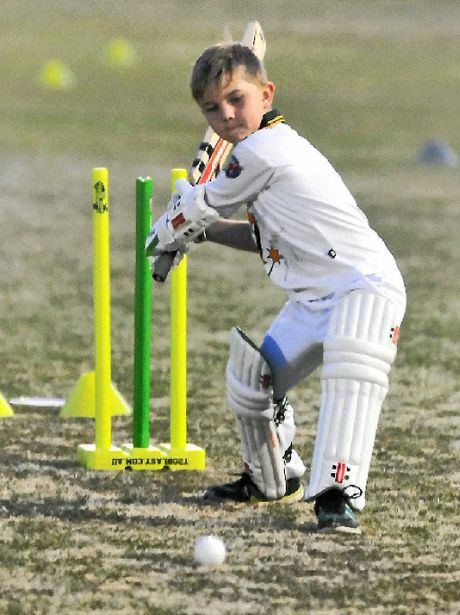 HITTING sixes is the best part of cricket for Jack Shepherd and the eight-year-old does it just like his favourite Australian player David Warner. Smashing the ball all around the park on Wednesday night, Jack was taking full advantage of the short boundaries in Gladstone Cricket's newest competition - the T20 Junior Blast. He is one of many kids in the Gladstone region who have taken to the sport through the program, and loves every time he gets to bat or is in the field. "I like batting and bowling, they are both really fun," he said. Jack began playing cricket last season in a different format, but has taken to the T20 Blast quickly. He is particularly keen on the rules, which give him double runs at times, unlike his heroes on television. "I love the free hit, I have had about 12, you can hit sixes off it," he said. "I start thinking about it on Tuesday, but the rest of the week I play in the backyard and play with my friends too."